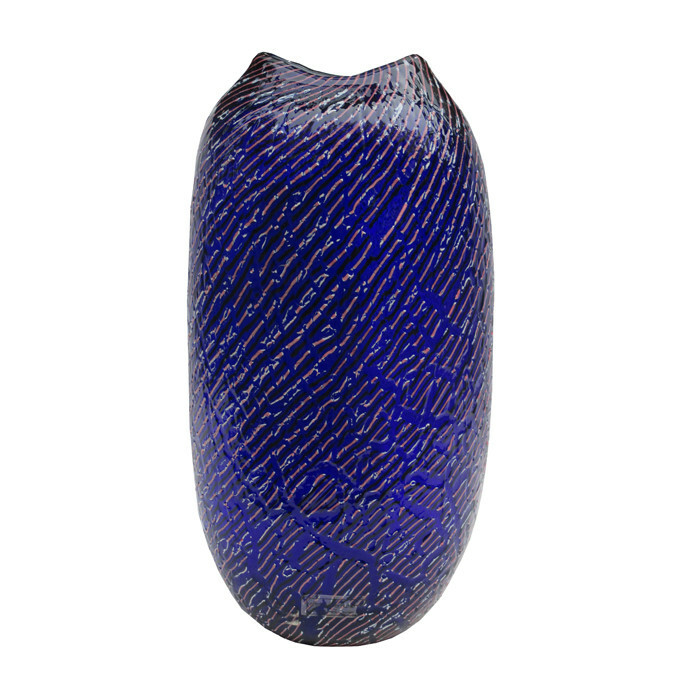 Lino Tagliapietra designed Italian Art Glass vase for Effetre International.Cased glass, clear and blue, fused ribbon, deep purple and pink/white. Craquelure. Marked: Effetre International Murano 1992 (engraved). Cased glass, clear and blue, fused ribbon, deep purple and pink/white. Craquelure. Marked: Effetre International Murano 1992 (engraved). Dimensions: H:15 W: 7½ D:5½ Inches.